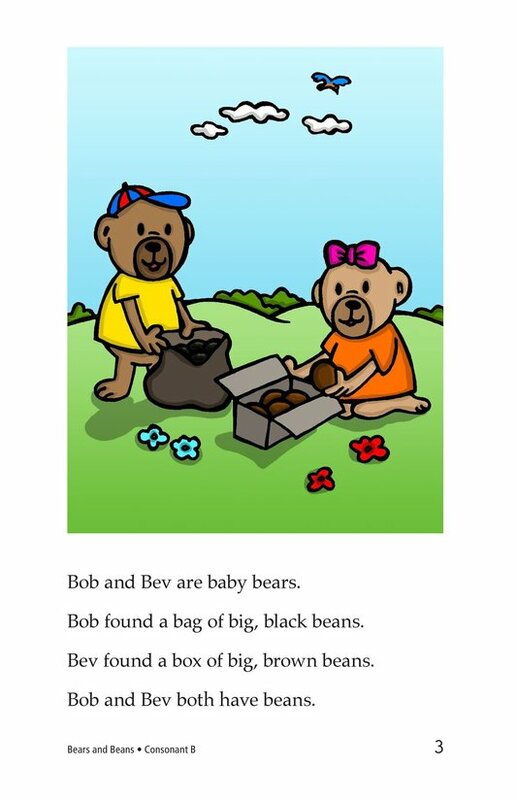 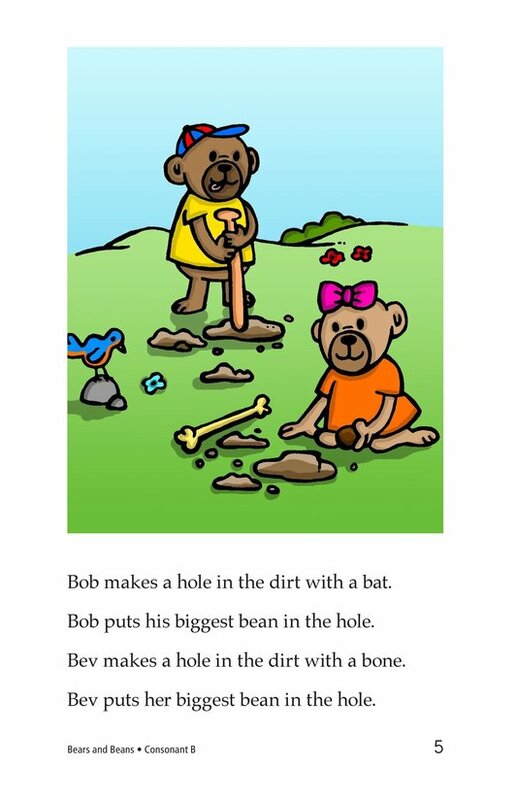 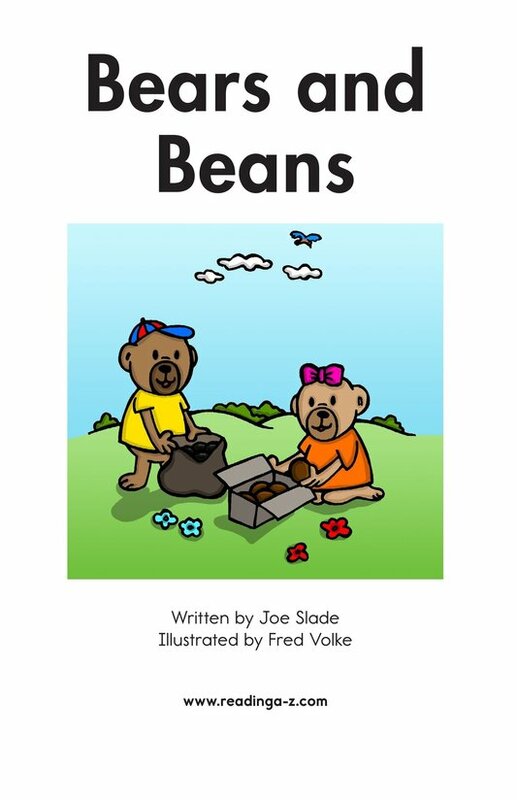 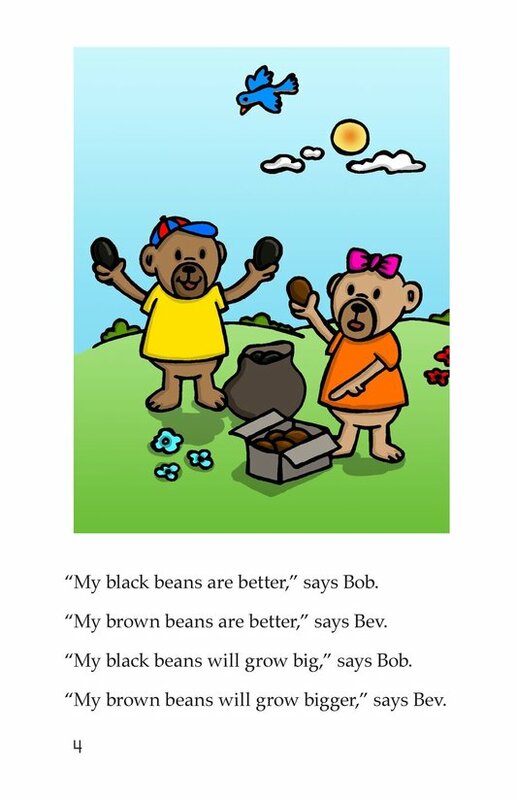 Two bears find and plant some beans. 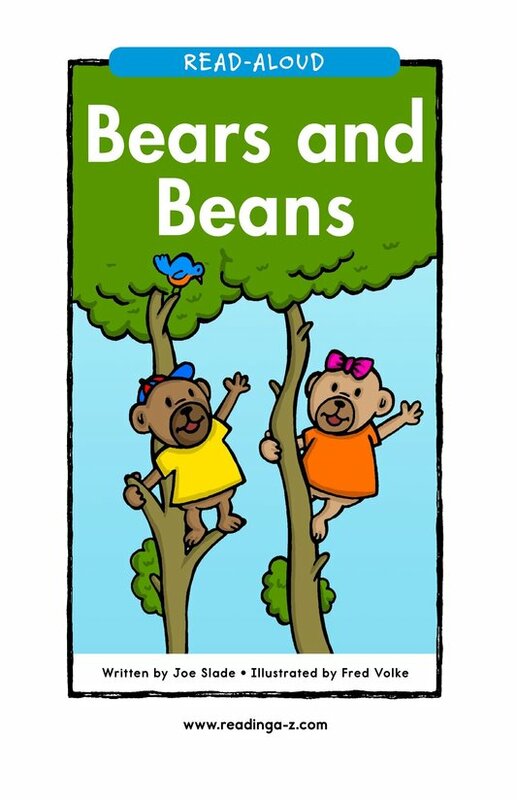 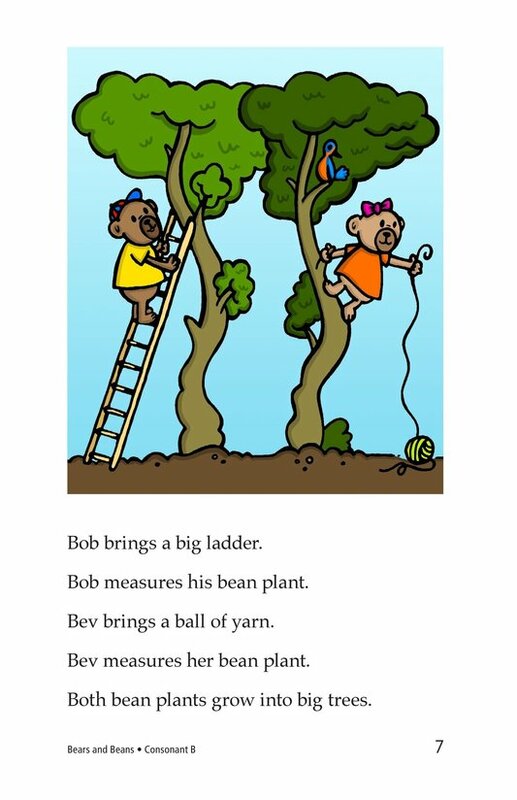 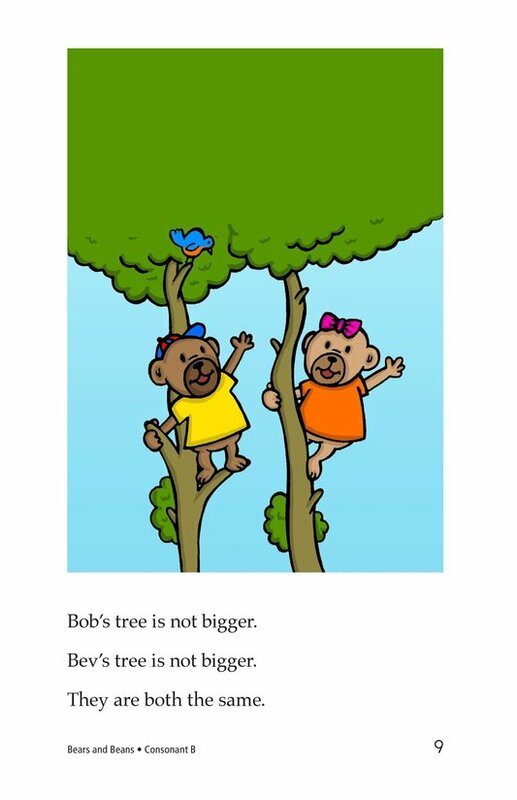 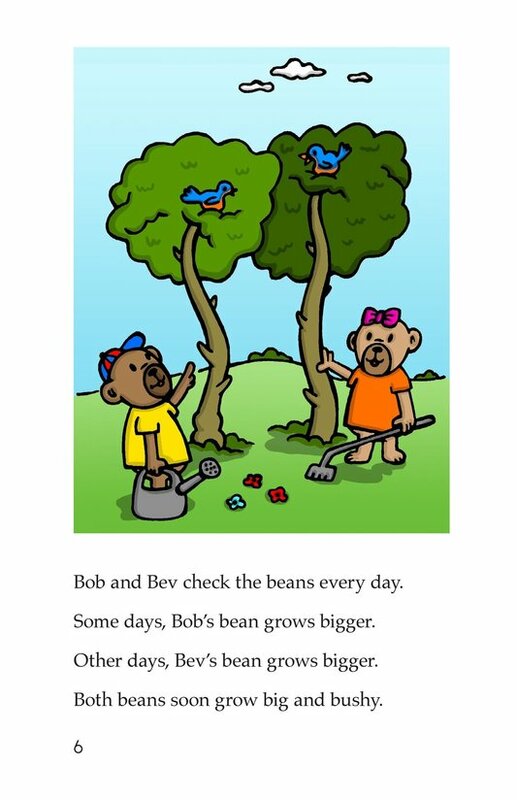 They compete to see whose beans will grow into the biggest tree. 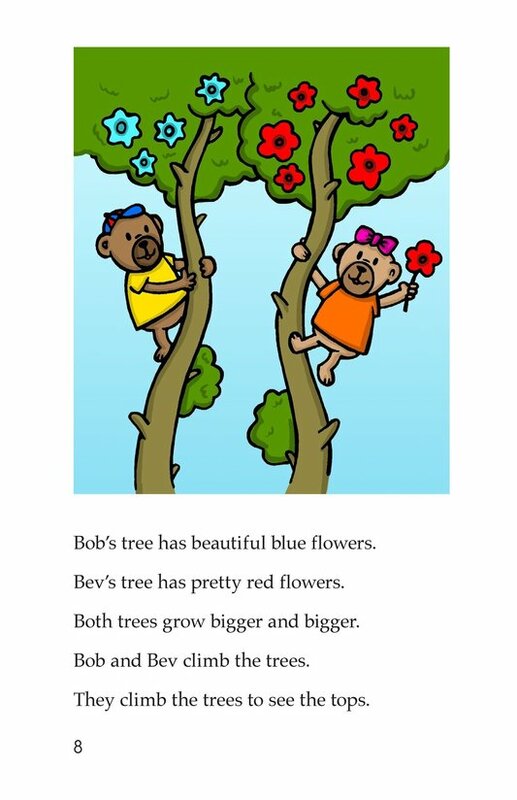 The trees end up being exactly the same size. 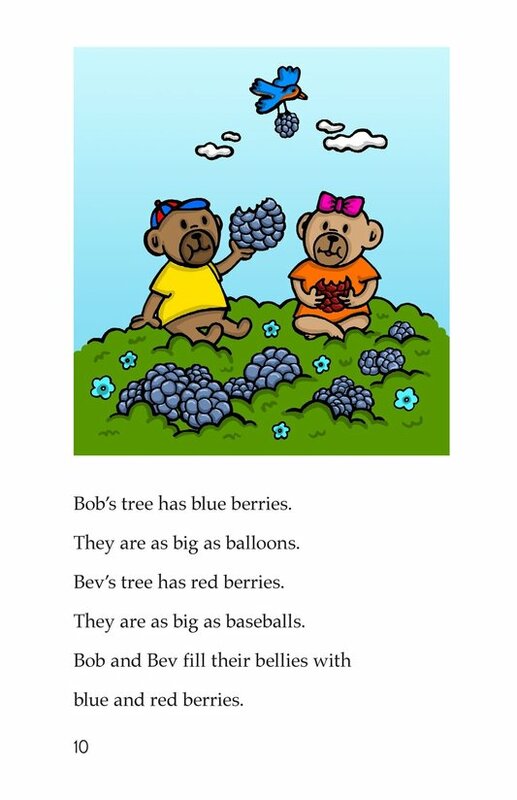 Delicious fruit grows on both trees, which the bears end up sharing. 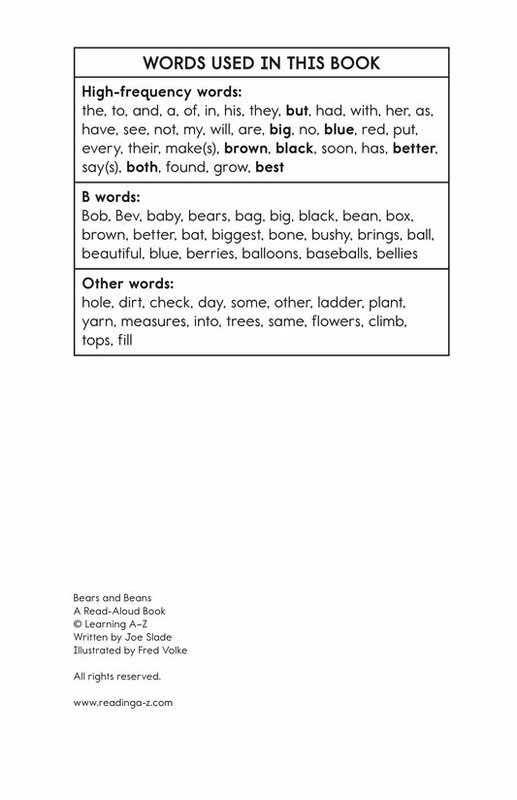 Introduce and expose students to the /b/ sound represented by the letter b.